Welcome to RV Travel with Kids, our families on the road ultimate family vacation adventure. 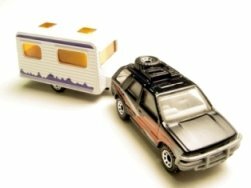 Family camping vacations and a good road trip with kids are excellent ways to bond with your children; but we've gone a step further. We are on a never ending adventure travel across America. Yes, we are an official nomad family, with a set of nomad parents and two nomad kids. Our life is a little more than simple travel with kids for a family vacation. Ours is an RV Travel with Kids adventure, seeing North America on our terms, in our time, how we want to see it. This is true family RVing! 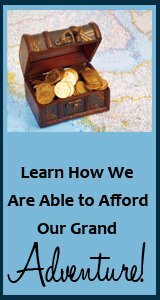 Have you ever dreamed of living a life different from everyone else? Of taking the kids on the road and traveling? Of seeing the United States up close, in person, and living the adventure of a lifetime? This is our Grand Adventure, and that's what happened to us to lead us on the ultimate family vacation adventure. I'm Rayven. My husband and I have two children; William, age 12 and Sara, age 10. A few years ago we decided that we didn't want to blend in with society anymore, that we wanted to follow our dreams and travel full-time in an RV; RV travel with kids. It was a difficult decision. Our extended family simultaneously is envious and thinks we're nuts. We had to make a lot of sacrifices, and change the way we viewed even the simplest tasks and living situations. But now we've joined other families on the road, living this wacky lifestyle, and we know its worth it. 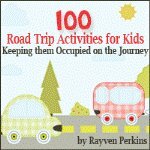 Whether you are on a full time road trip with kids like we are, or you are an occasional family camping vacations family, or even if you are just dreamers like we once were, I encourage you to use this site as an RV travel with kids guide to help you explore all of the possibilities of this crazy and ultimate family vacation adventure lifestyle. Join the RV Travel with Kids Mailing List! We care about your privacy; we don't spam. 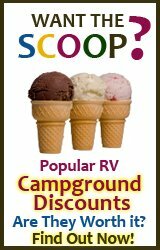 We promise to only use it for sending you our RVing Newsletter. We'd love to stay in contact with you! Please join our mailing list. We promise never to sell your information or anything stinky like that. What we will do is email you about places to go, things to see, and special travel tips and discounts. We'll also let you know what we're up to. And when you get bored with us, you're free to unsubscribe anytime. Plus, we'll give you a FREE copy of our eBook, 100 Road Trip Activities for Kids just for signing up! And, don't forget, its all totally free.